I don’t know what it is about going to a concert but I always feel the need to dress a little rock chick for the occasion. 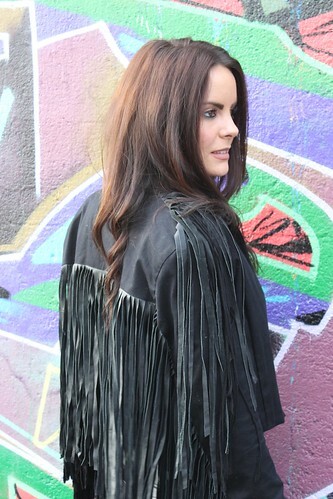 My boyfriend and I got tickets to see James Bay in the Ulster Hall in Belfast on Sunday past so I decided to stick to my usual concert theme and rock it up with some leather and fringes. 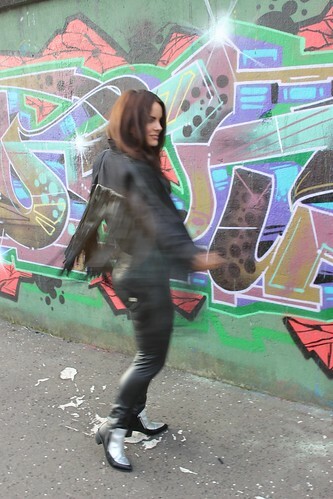 The day before the concert I picked up a pair of leather high waisted “Freddy” trousers in a local boutique and they were just perfect when matched up with my silver panelled boots from the Savida for Dunnes range and my fringed jacket by Religion. I never thought in a million years that I could squeeze my booty into a pair of “Freddy” trousers but the new high waisted version is perfect for anyone who has a little more junk in the trunk like myself! Whereas if you are looking to add a little to yours then I would suggest the low waisted ones as they add incredible shape. The concert itself was the best I had ever been to, my boyfriend always told me that if you see a big act in a small venue then you will never want to go to a large arena concert again and he was so right. It was truly amazing and if you aren’t familiar with James Bay, I strongly advise you look him up on Youtube ASAP.